Jung Hee Choi has 15 years of combined experience in the fields of journalism, communications and social change. 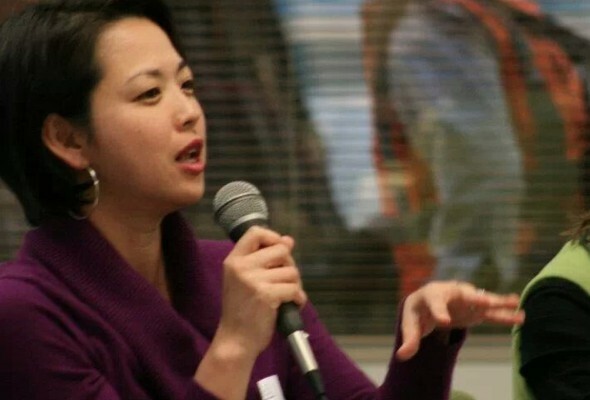 Jung Hee has provided leadership and directed communications strategies for a variety of respected non-profit organizations and labor unions in the Bay Area and Los Angeles. Most recently, she spent the past eight years as the communications director for Community Coalition in South Los Angeles, helping to elevate the organization’s visibility and profile as a national organizing model and leader in Southern California. Currently, Jung Hee is an independent nonprofit consultant who specializes in developing communication systems, infrastructure and strategies that integrate with community organizing campaigns in order to maximize power and visibility. Utilizing her many years of experience in leadership, she also provides consulting services to organizations on leadership development and training and organizational planning and management. Jung Hee’s writings have been published in numerous newspapers and she is the co-author and co-editor of several publications. Jung Hee has a Bachelor of Arts in Journalism from the University of Missouri-Columbia and Masters of Arts in History from San Francisco State University. She lives in Los Angeles with her husband and two children.